Joining us this week Behind Bars is Scott Roszel from Wilmington Brewing Company. Wilmington Brewing Company opened in 2014 and was early in the wave of new breweries. AT: What’s your favorite thing about bartending? SR: Definitely the friendships. Hearing about everyone’s day from student to retiree. Making connections and encouraging each other towards happiness. It’s crazy how drinking good beer can put someone in such a good mood. AT: Do you have any advice for current or future craft beer bartenders? SR: Customers tend to ask the same questions (which they rightfully should). My suggestion is to always be honest but rephrase your answer and not follow a script, just be yourself as well as challenge yourself to do the same act differently throughout the day. AT: If you were a beer, which one would you be? A weekly roundup of local and craft beer that can be found around the area on tap, in bottles, or in cans. These are not beer reviews and should be used for entertainment purposes only. Swamp Thang: 8.9% 75 IBUs In honor of our swampy local film industry, WBB presents to you the dankest DIPA of them all! Perpetual Outrage: 7% This is a West Coast-ish IPA made with hops from Crosby Hops, including simcoe, amarillo, centennial, & CTZ. Particle Wave: 5.1% Particle Wave is a blonde ale brewed with loral, mosaic, and palisade cryo hops. It’s a play on the lupulin powder in the cryo hops. An aromatic beer, it presents incredibly refreshing and super crushable. Strawberry Spruce IPA: 7.7% This IPA is a bit experimental using nature-found ingredients. A West Coast IPA with piney aromas influenced by spruce needles and hops that complement. Strawberry’s were also added to balance out the spruce bitterness. Biere de Garden: 5.4% A French style farmhouse ale with caramelized honey and 8 different spices, including rosemary, thyme, sage, lavender, basil, oregano, bay leaves, fresh mint, tarragon, and lemongrass. Moonlit Descent: 8.5% A complex imperial rye stout with notes of roasty rye and rich caramel malts. 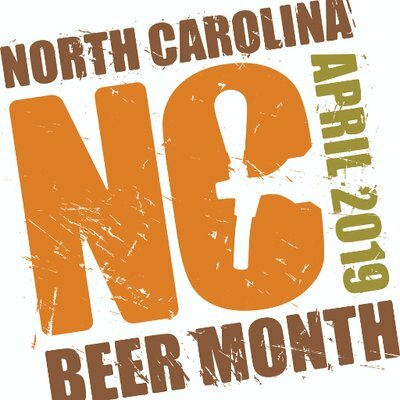 April is North Carolina Beer Month! You can join the fun by visiting any of our local breweries and raising a glass to fresh Wilmington beer, but there are also plenty of events happening all around the Port City. Throw on a Hawaiian shirt or a sundress and get ready to party for the Summer Sands American Light Lager seasonal release. Join Cape Fear Wine & Beer as they host New Anthem Beer Project for Beer Church! There will be collaboration glassware and a killer beer list. Never been to Beer Church? Here’s the deal: Masses are a 1p and 8p. There’s glassware for the featured brewery, and if you order the beer from the said brewery, you get to keep the glass. Glassware is first-come, first-serve. Celebrate Earth Day and NC Beer Month at Flytrap’s Bloom Boom! New Beer Releases, A Mindful Market by Artisan Locale with Voxi Card and Beauty Crew Mobile, CheeseSmith Food Truck, and live music by Paleo Sun will all be happening April 28th from 2-6pm. A portion of the proceeds will go to local non-profit, Skywatch Bird Rescue, who will be attending with some special winged guests. Thanks to Hannah Soper from Wrightsville Beach Brewery for joining us Behind Bars this week! 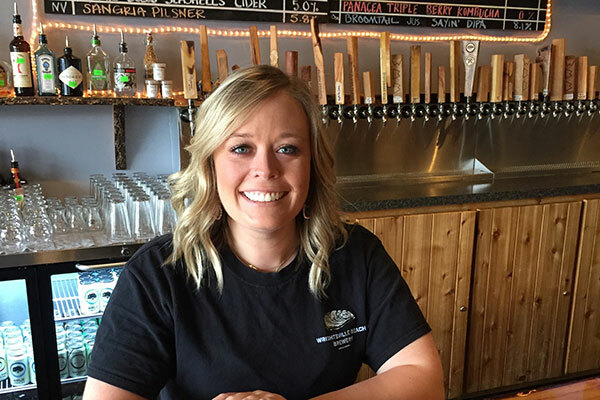 You can find her at the brewpub near the beach slingin’ tasty suds and amazing, creative snacks. HS: I really love the camaraderie, community, and team that has been created at Wrightsville Beach Brewery. The level of expectations and standards that has been upheld has made working here a blast. It’s a great family! HS: Spend the extra two minutes getting to know your guest’s taste. Your knowledge of your product can help a craft beer enthusiast or a beginner find the right beer that enhances the entire experience. There are a lot of people taking a first dive into the craft beer world & it helps them understand that there is something for them in the big sea of beers! Also, your brewer is your best resource! HS: A brut IPA, because while bubbly & unassuming, it can hold its own & its memorable. 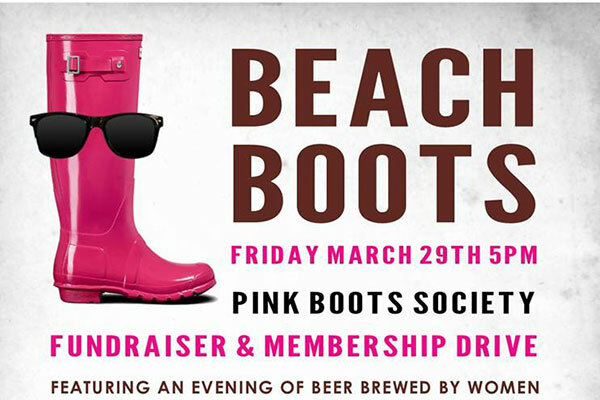 This Friday at Fermental, join the Wilmington Chapter of the Pink Boots Society for an evening of celebrating women in beer! I’m a little biased this week, since I’m one of the Chapter Leaders of PBS Wilmington, but I can also guarantee the event is going to be great. We’ve got some beers coming from the Biere de Femme festival, which happened earlier this year at Highland Brewing in Asheville, and was hosted by Pink Boots NC. We’ll also be featuring several beers from local area breweries that are either brewed by women or at breweries owned by women. My personal favorite is Light Urple–a collaboration beer that I had the privilege of brewing with some of the ladies from The Crooked Lotus in Sneads Ferry, and Bill’s Front Porch in Wilmington. It’s a Belgian pale ale brewed with honey, butterfly pea flower, and the proprietary Pink Boots hop blend from this year. It’s dry, hoppy, and a beautiful, rich purple color. Come hang out with me and the other ladies at Fermental from 5-10p this Friday. Trust me–we’re a hell of a good time. If you’d like information about Pink Boots Society, or have questions about joining, please visit pinkbootssociety.org or reach out to me, Joan, at the.enbrewsiast@gmail.com. What better way to celebrate Cape Fear Craft Beer Week than a *free* shuttle to scoot you around and sip local liquid!? 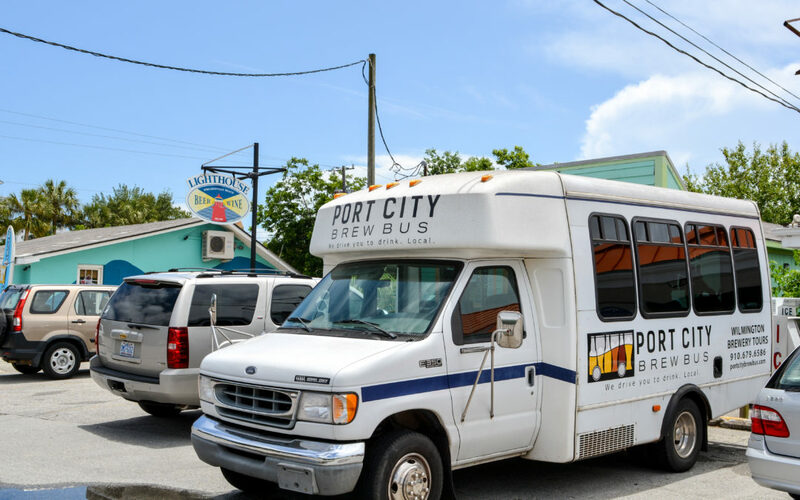 The Port City Brew Bus is doing just that this Saturday, March 23 from 11 am to 5 pm. Two different buses will be running two independent routes, both of which are starting downtown. Starting/Ending at Bombers Beverage Company: Bombers is arguably one of my favorite bottles shops in town for definitely two, but possibly more, reasons–the selection is great and the people who hang out there are amazing. (To be fair, the owners are two of my best friends…I got married there, after all.) It would behoove you to just pick Kyle or Sunni’s brain and ask them what you should drink. They’ve never lead me astray. Edward Teach Brewery: I’m a big fan of a fruit beer, so I would definitely go for Teach’s Peaches, a peach wheat ale. It’s perfect for our imminent spring, and the brewery does a great job of introducing fruit without presenting cloying sweetness. Broomtail Craft Brewery: Get a Moe Beer. It’s a super delicious brown ale named after a very sweet dog, and they’ve had it on draught since day one. The Sour Barn: The sister brewery to Broomtail is a fabulous mecca for fans of sours. The blackberry gose came out most recently. I only had a pint, but I could have easily (responsibly) had a pitcher. Flytrap Brewing: My very, very favorite beer (maybe in the city) is Hoppy Tripel. It’s a dangerous one since it creeps up over 8%, but since you’ll be at the end of your tour and I KNOW you’re not driving home, you’ll be fine. New Anthem: I recommend closing your eyes and pointing at the draught board at New Anthem and ordering whatever you land on. You won’t be sorry. I had a pour of The Feels today and loved it. Waterline Brewing: This tour is going to be great for hop heads. The Waterline Black IPA is awesome. It’s roasty, hoppy, and clean, and I highly recommend drinking it. I think it’s fabulous. Wilmington Brewing: One of my favorite things to do is drink a Tropical Lightning from the source, but if you’re nervous about it being too boozy, try a Beach Time Session IPA. 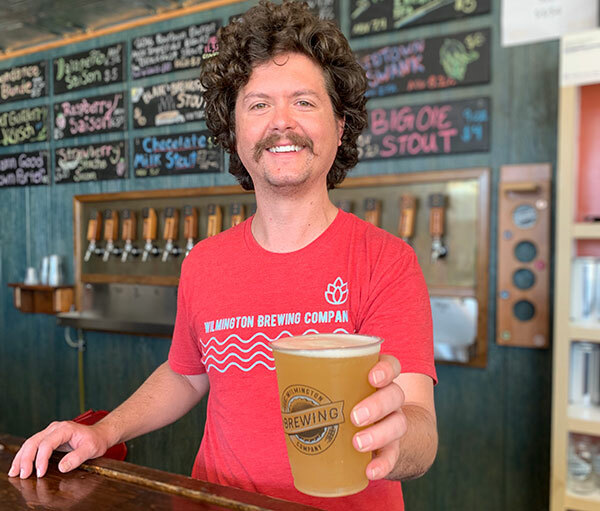 Wrightsville Beach Brewery: At the end of a long day (whether or not it includes a long day of drinking) the first and last things I want are the same–a good, crisp lager. The Lame Street Lager from WBB is perfect.